“Dearest Mummy the home is a happier place because of you ” Text and Elephant cartoon print on t-shirt. Special valentine t-shirts for little one and boys also. 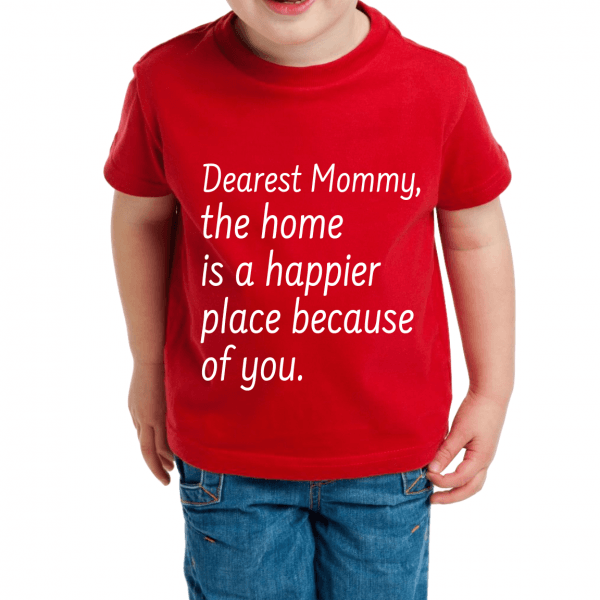 “Dearest mummy the home is happier place because of you” Text print on t-shirt.